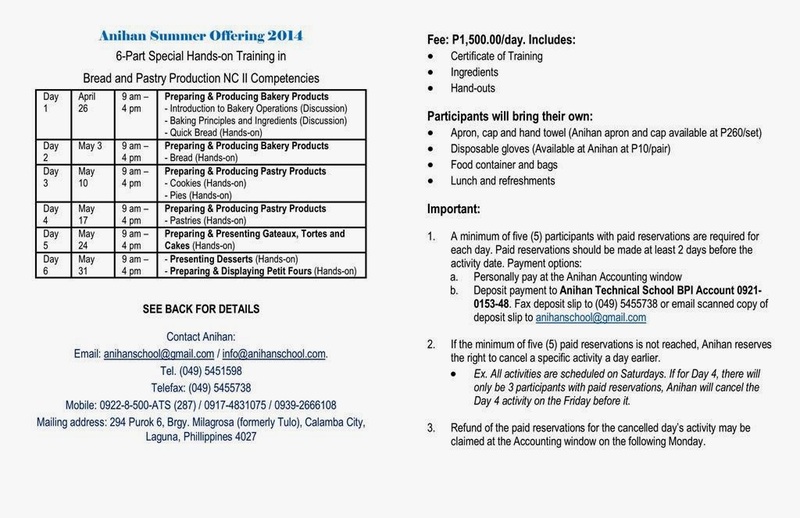 Summer baking classes will be offered in Anihan this April to May 2014. A six-part series of baking classes will cover the core competencies of Bread and Pastry Production NC II. The participants may opt to attend the whole series (6 days) or only one or select days. Enlarge image: Left click on the image below. Download details: Right click on the the image below and choose "Save image as".